7 Pretty Colours To Wear To A Morning Wedding Function! I love day wedding functions! The pictures come out extra pretty and every colour looks even brighter and charming under the sun. So now that your friend has been ‘fixed’, do pester her for having at least one day function! And do check out these gorgeous colours for a day wedding function! 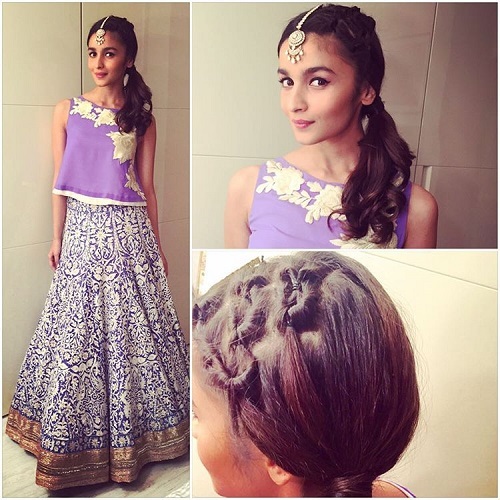 Image Source: Aliaabhatt on Instagram Our favourite Bollywood princess Alia Bhatt wore a lilac top and skirt for one of designer Masaba Gupta’s wedding functions. I was never too fond of the colour, but looking at Alia, I guess I’ll give pinks a miss for the next wedding function! 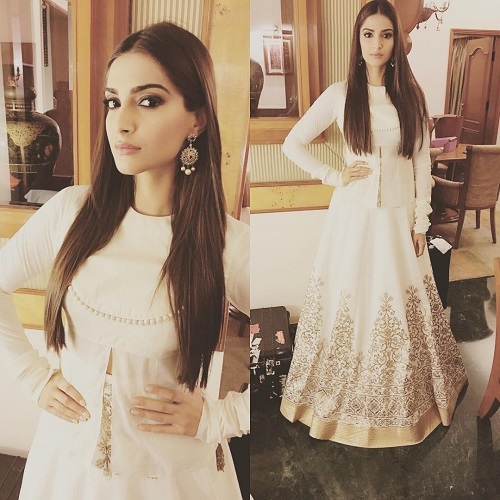 Image Source: Sonamkapoor on Instagram Classic whites look fab during the day and it is also the one colour our celebs are majorly sporting these days. 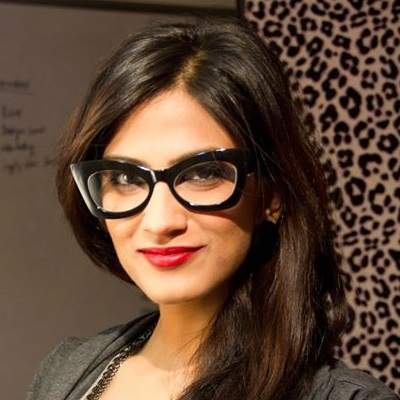 You could swipe on a pop-coloured lipstick and put on your sunnies to make a head-turning fashion statement. Image Source: Chinardesai on Instagram Honestly, this is my favourite look of all! Love the freshness of the colour and, paired with white, it looks extra stunning. Plus points to Sonakshi for carrying it off so beautifully. 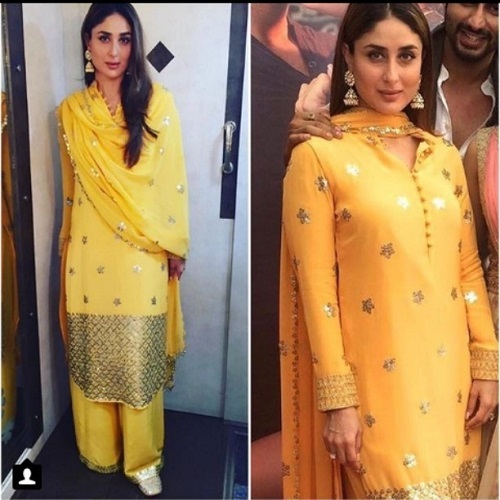 Image Source: Beautyandfashionfreaksofficial on Instagram Kareena is always dressed to perfection and during the promotions of Ki & Ka she chose to wear an elegant yellow suit. It’s not OTT but the colour makes it look super festive and just what I’d wear to my bestie’s afternoon mehendi! Also read: A Month To Your Shaadi? Here’s What You MUST Do For Yourself! Image Source: Athiyashetty on Instagram Did I tell you that I loveee what Athiya Shetty is wearing?! Besides being ultra stylish, that colour has got me majorly crushing over it. The prettiest, most delicate shade of pink is a wardrobe must have, especially for those morning invites! 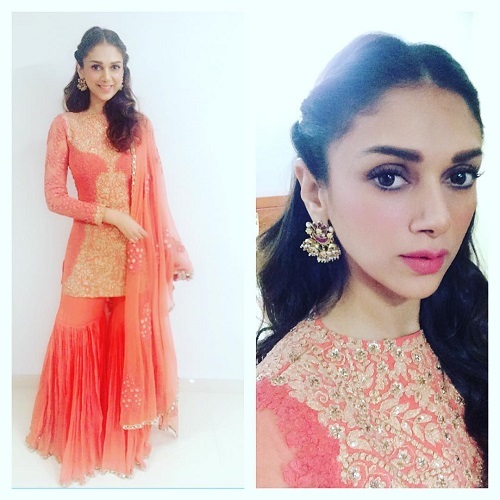 Image Source: Aditiraohydari on Instagram Aditi Rao Hydari has a great sense of style and her bright orange sharara set proves that. I would totally wear an orange sharara like this for my sister’s afternoon wedding. Pair it with your oversized sunnies and get your swag on! 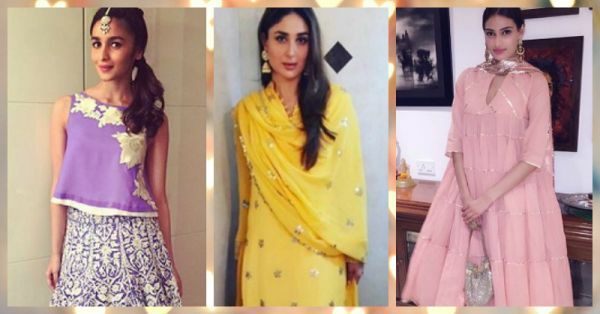 Also read: 8 Fab Salwar Suits Styles – And How to Wear Them for Every Body Type! HAVE A STORY IDEA FOR POPxo? If you want to hear about it, we can write about it! Just tell us your idea here!